Thy Antichrist rises in August 1998 in Medellin, Colombia – South America, based upon the Friedrich Nietzsche’s book “The Antichrist”. 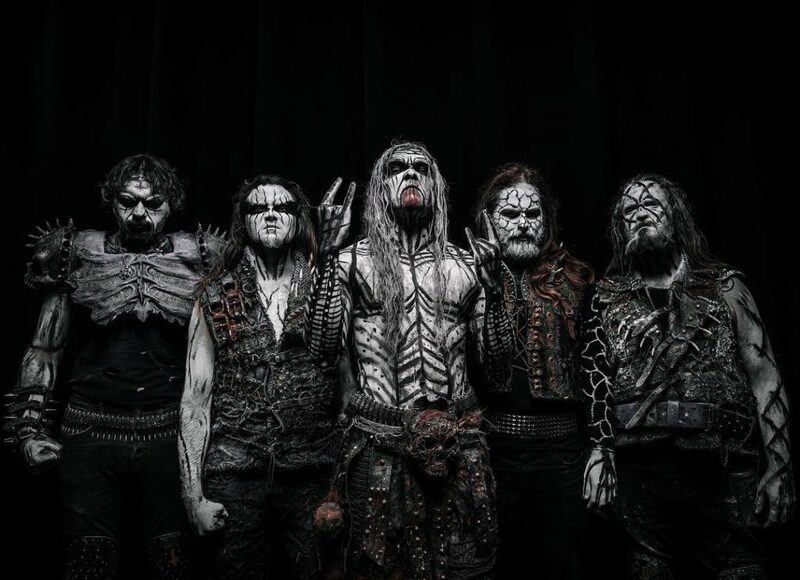 This Is Black Metal Webzine had the chance to talk with Andres Vargas (Antichrist 666), founder member and lead singer frontman of the band. 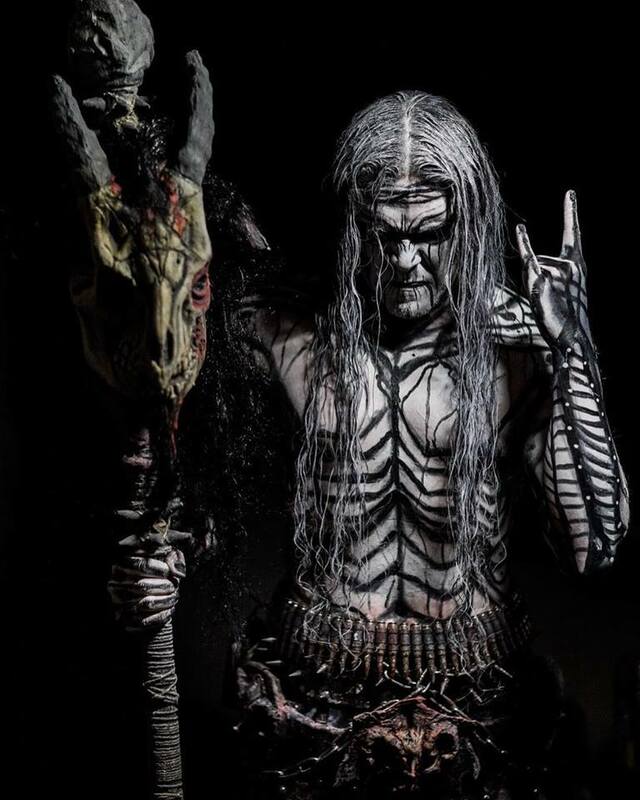 Andres (Antichrist 666) has created a unique performance into the Black Metal genre with a sui generis corpse paint which is the trademark of the band. Thy Antichrist is featured nowadays as one of the most important Black Metal bands of the Latin American scene with an important fan base.  This Is Black Metal: Thanks for talking with This Is Black Metal Webzine, 20 years ago what inspired you to start Thy Antichrist? Andres Vargas (Antichrist 666): Thank you for the interest in Thy Antichrist. At that time I experienced the early influence of Norwegian Black Metal wave has made history in the roots of Metal. My readings in philosophy, especially the works of Frederic Nietzsche,was the best complement to create Thy Antichrist. In fact, Thy Antichrist as the band name is inspired by the Nietzsche book “The Antichrist”. TIBM: Back then what did you think about the Black Metal scene and how did your view on it changed during the years? Andres Vargas (Antichrist 666): In the past,Black Metal scene was very underground and devoted to the underground but has since changing over the course of time. At that time with no main social media networks, the communication with labels, fans, bands and fanzines was by written mail. In my country (Colombia) it was very expensive and difficult to get original music and merch. Nowadays it is a completely different story with thousands of bands of all genres, with avenues like YouTube, Facebook, streaming platforms, etc. TIBM: What is Black Metal for you, what’s its meaning? Andres Vargas (Antichrist 666): It’s a life style for me, it’s the philosophy that rules my life. It’s the engine that keeps Thy Antichrist going. THY ANTICHRIST – Where Is Your God? TIBM: During your career you visited a lot of countries, what was the most unforgettable show for you? Andres Vargas (Antichrist 666): All the countries I’ve visited have had a special meaning for me. Every show and encounter with our fans and friends has been memorable and unique. Of course going back to my country and playing to our Colombian fans and friends is always particularly special to me. TIBM: When you’re not playing with Thy Antichrist how do you like to spend your free time? Andres Vargas (Antichrist 666): Besides working with Thy Antichrist, i work for a private company, so I have very limited time. But I enjoy traveling, reading books and getting in touch with fans and friends through social media. TIBM: What was the first Black Metal album you bought and what are some of the bands that still influence you until today? Andres Vargas (Antichrist 666): I purchased Diabolical Fullmoon Mysticism by Immortal in 1992. As I said before, getting original music at that time was very difficult and expensive. Usually among friends we exchanged or borrowed CDs, Vinyl’seven, bootlegged our own versions on cassettes. I’m a fan of old school Metal so the classic bands are always the best influences. For example Venom, Bathory, Mayhem, Samael, Motörhead, Judas Priest, and Black Sabbath among others. TIBM: Who does what in the band regarding composition and writing? Andres Vargas (Antichrist 666): I lead the musical direction in the band and I write the lyrics, but together we are joining ideas until the songs take shape. TIBM: If you could choose a release that best defines your career which one would it be? Andres Vargas (Antichrist 666): For me every release represents a very important frame of time in the band’s history. Every album or release has a special significance for us. The album Wicked Testimonies released 14 years ago showed the underground the potential of the band. TIBM: Your latest album Wrath of the Beast was released last February; it had great feedback from fans and media in general, what were your expectations for this album? Andres Vargas (Antichrist 666): We worked very hard on this record, to even make the album possible. We invested a lot time and dedication at every aspect in the making of this album. We are very satisfied with the final product and like you said, we have been receiving great feedback from all our followers and press around the world. This is the debut album with our current label, Napalm Records. TIBM: What message are you trying to pass with it? Andres Vargas (Antichrist 666): Basically, Thy Antichrist is a critical reflection about topics experienced in chaotic reality we are experiencing through the broken and failed religious, political and economic systems. TIBM: What can your fans expect for the upcoming shows? 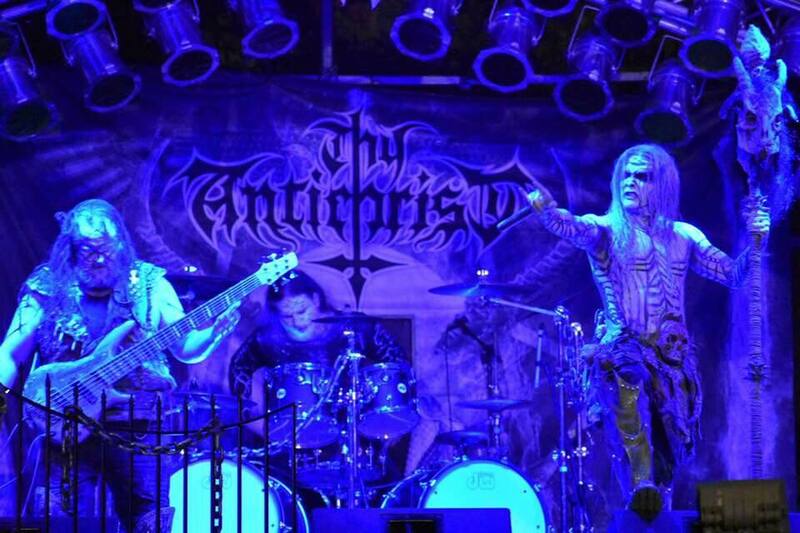 Andres Vargas (Antichrist 666): An intense delivery of 100% Metal to the bone! Pure devotion to the underground. Personally, I spend 2 and half hours preparing my ritualistic corpse paint prior the ritual on stage. TIBM: Which bands or artists would you like to share the stage with if you had the opportunity to? Andres Vargas (Antichrist 666): Haha it’s not too bad to dream about sharing the stage with Metal heroes like Ozzy Osbourne, Rob Halford, King Diamond or Bruce Dickinson. TIBM: Finally, Please leave a message for our readers! 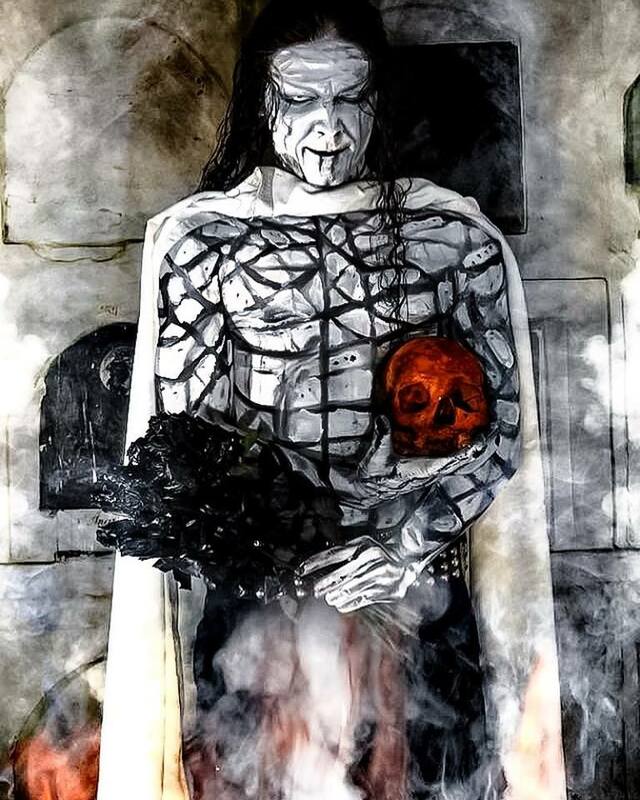 Andres Vargas (Antichrist 666): Thanks Lígia and This is Black Metal for your support! All the best to you and Cuernos Arriba/Horns Up!